От мелких стычек с одиночными эсминцами и охоты на торговые суда до масштабных сражений с участием целых флотов, Victory at Sea Pacific - ваш билет в мир захватывающих сражений на опасных морских просторах Второй мировой войны. If the target of a flight or ship's attack order is destroyed, they will keep attacking another target, instead of returning. Aircraft that are not their squadron’s leader are shown as dots on the bridge screen. Increased the spread of all ship weapons and coastal guns, and reduced the accuracy of aircraft against surface targets. Supply convoys will try to oversupply ports if they have no alternative, rather than stay still. Friendly fire now does no damage. Ships’ critical hit effects no longer escalate (resulting in suddenly exploding ships) after leaving a battle. Improved automatic resolution detection, and selecting a resolution on the options screen applies it immediately. Disabled aspect ratios other than 16:9 and 16:10, as these are unsupported. Improved landmass avoidance for ships. Non-player fleet markers are no longer selectable. The stats popup on the fleet screen is correctly positioned at higher resolutions. Reduced the sun glare, and fixed the midnight glow. Fixed an instance of ships loading with the wrong rotation. Correctly return squadron header to the list when failing to merge with a non-player-controllable fleet, or a fleet of a different faction. Supply convoys can no longer to be split. Upgraded anti-air weapons no longer take the place of gun turrets after loading a save. Swapped aircraft payloads gain the correct stats, and flights swapped to torpedo bombs no longer forget how to use them after loading a save. Fixed an instance of flights losing their global position. Fixed an instance of ships not using their guns while selected, despite the player not taking manual control. Aircraft repair at the correct speed. Fixed an instance of ship’s flight deck at full health being considered destroyed. Fixed aircraft flights being assigned to two airfields simultaneously. Crew can repair critical hits outside of combat view. Fixed an instance of flights readying takeoff while not in the launch queue, leaving them grounded. Fixed an instance of all fleets in the Pacific grinding to a halt. Ports take the correct amount of time to upgrade. Fighters have stopped refusing to follow intercept orders. Also, fighters whose ordered targets have been shot down will automatically pick another target. Fighter squadrons may be ordered to intercept when the squadron leader is out of ammunition. Fixed an instance of aircraft forgetting their bridge-level orders when entering the combat view. Completely destroyed ports do not start battles. Aircraft carrier AI will not try to order aircraft beyond the range for a return trip. Bombs with the “Devastating” trait will deal devastating damage in bridge-level combat. Fixed an instance of aircraft flights being kicked out of their navy and freezing in place. The South Dakota-class battleship, Wasp-class carrier, and Brooklyn-class cruiser may be constructed in shipyards when unlocked. Fighter AI will automatically pick a new target if their ordered intercept target lands, and will not always pick weaker targets over stronger ones. 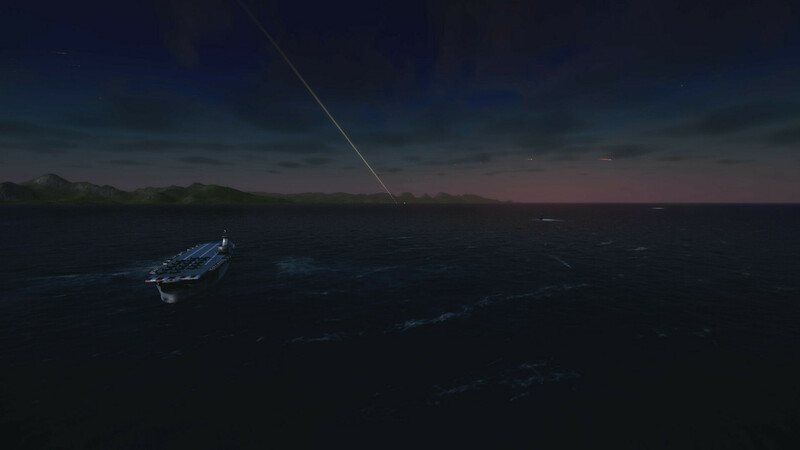 Gun accuracy gradually increases as a ship fires on a single target. Aircraft require 50% less aviation fuel, and supply ships carry 10% more aviation fuel. Aircraft launched via the bridge will try to move together in formation. Reduced the price of the Cherokee-class tugboat. Added a UI scale slider to the options menu. Fixed a bug where aircraft in combat view would forget an attack order given on the bridge. Fixed an instance of aircraft teleporting to a distant airfield and landing. Fixed an instance of aircraft getting stuck when loading into combat view while trying to take off. Air raid sirens use the correct volume setting. Aircraft on the bridge show the correct speed when selected. Ship-launched seaplanes land closer to their home ship. Aircraft squadrons load into combat view in their formations. Ships account more accurately for their turning circles when using anti-submersible weapons. Removed long delay on flights launching from airfields at high timescales. Battle markers no longer linger after quitting to the main menu and re-entering the campaign. Fighters cannot engage in dogfights without ammunition. Fixed a bug where coastal structures could position themselves in the sea. Local AA weapon range increased to 1km. Evasive manoeuvres account for ships’ turning speeds. Carrier fleets with launch permission toggled off will request permission to send aircraft against their ordered target fleet. Ships’ local orders are cleared upon leaving combat view. Added a windowed mode option. Added support for more screen aspect ratios. Reduced scrolling speed on Windows. The South Dakota-class battleship is fully armed with 16-inch guns. Atlanta-class cruisers now have twin 5-inch gun turrets. The North Carolina-class battleship model shows the correct number of 16-inch guns per turret. Ships in combat view always keep moving towards their bridge order’s destination, if they have no other orders. Ports that finish upgrading while selected display their new aircraft. Fixed a crash that could happen when checking aircraft height. Fixed a bug causing aircraft stored in ports not to be saved. Selecting all of an aircraft type on the bridge shows the range circle. Flights with no aircraft remaining can be seen, and swapped out, on the flight selection panel. Fixed a bug resulting in a merged fleet remaining partially docked. Fixed a bug causing destroyed coastal structures to become active without repairing. Removed delay on AI-controlled flights launching at high timescales. Ports with functioning airfields won’t wait for nearby ports with destroyed airfields to launch first. Ships with an upgraded damage stat and point value don’t lose it when loaded from a save. DP guns automatically changing does not switch ships’ guns to manual fire mode. The radial orders menu shows the correct order options when a squadron is selected. Fixed ships sometimes bombarding destroyed structures and ignoring intact ones. Fixed some UI elements for high UI scales. Fixed an instance of aircraft incorrectly positioning themselves on carrier decks. Fixed weapon subsystems sometimes showing incorrect crew assignments after loading a save. Hi everyone, As you know we have been collating everything and here is the next patch based on feedback, as I said previously we want to make this the game we all want to play and will continue to improve, so please keep sending us your feedback as we will be tweaking and fixing beyond the bugs. In order to play this game go into your library, right click on the name Victory At Sea Pacific and click Properties. under BETAS, select “Beta” there is no password required. If it doesn't update right away select Properties again, local files and verify the integrity of the game. • Improved the AI for ship formation movement, to keep ships moving at speed more often. • Convoys now retain any surplus supplies when unloading into a port that can’t hold their entire cargo, instead of ditching them. • Supply convoys now try to steer clear of enemy ports. • Aircraft flights in the squadron list show the planes' campaign-level order, if they have no combat-level order. • Added a toggle for v-sync. • Added a warning icon when torpedoes are near a player’s ship. • The upgrade button is available for Japanese home ports that are not major ports but have shipyards. • Updated navigation to open up some impassable areas of sea in combat view. • The resource panel shows the correct number of available bombs in a port. • Fixed a bug where one aircraft flight in a squadron could forget its position. • Fixed a bug (from the beta patch) where dive-bombers would refuse to dive-bomb. • Fixed a bug where aircraft payloads could sometimes not be swapped. • Can no longer order a fleet to merge into one of another navy. • Fixed a bug where shells, bombs, and torpedoes could teleport away upon moving the camera. • Fixed a bug where aircraft weapons could load incorrectly from saves. • The Vought Corsair fighter has a shorter, more accurate range. 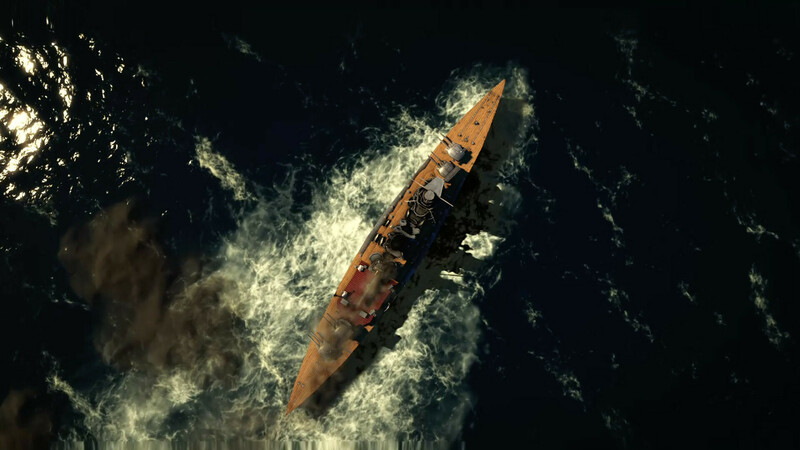 • Non-hostile Allied ports in the Japanese campaign do not declare war if the player starts combat with a hostile Allied fleet nearby. • Stopped erroneously excessive shell amounts being taken from ports when resupplying. • The atomic bomb collection icon does not show up unless that objective is active. • Ships no longer ignore the presence of aircraft-launched torpedoes. • Updated fleet movement mechanic, and fixed some formation and ship spawning issues. • Fixed the supply convoy list getting confused by multiple convoys of the same name. When ordered to attack, ships in a formation will stay in formation until their target is close to weapon range. Bombers that have not yet dropped their payload will continue with an attack order even if the squadron leader is returning to its carrier or airfield. Fighters automatically return home after expending their ammunition, but others in their squadron may likewise continue with an intercept order. Added a toggle to bottom right of airfields to forbid their AI from automatically launching aircraft. Added alert popups for spotting enemy aircraft. Removed alert popups for spotting enemy convoys, or enemy fleets that are not currently at war. 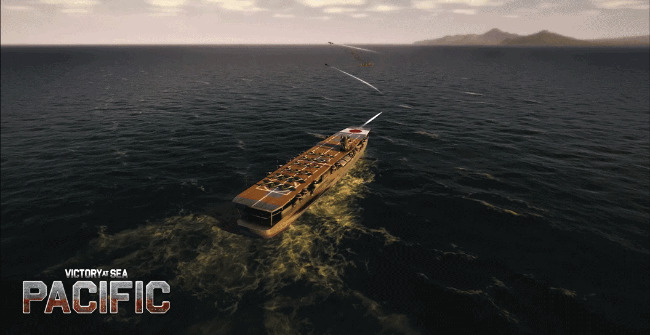 A ship’s seaplanes floating on the water will automatically return home when the player leaves the area. Seaplanes on the sea are visible in the bridge view. Submersibles are less effective against ASW-armed ships in bridge combat. Shifted some ports’ supply drop-off points. Added more randomised names for non-historical US battleships. Fixed a bug where an excessive number of sounds could attempt to play and reduce performance. Aircraft squadron markers on the bridge show the total number of planes in the squadron, not just in the lead flight. Bombers cannot bomb ports at an excessive distance during bridge combat. Fixed a bug often preventing land-based AAA batteries from firing in bridge combat. Reduced the lethality of land-based AAA in bridge combat, when it does fire. The South Dakota-class battleship’s model now has all three 16-inch gun turrets. Fixed a bug preventing damaged aircraft on an airfield from repairing. Fixed a bug that could cause non-player faction squadrons to spawn in a tight cluster. The exchange panel on the fleet screen shows the correct port’s name. Improved AI for ships following a formation, so they will not intermittently try to double back on themselves. 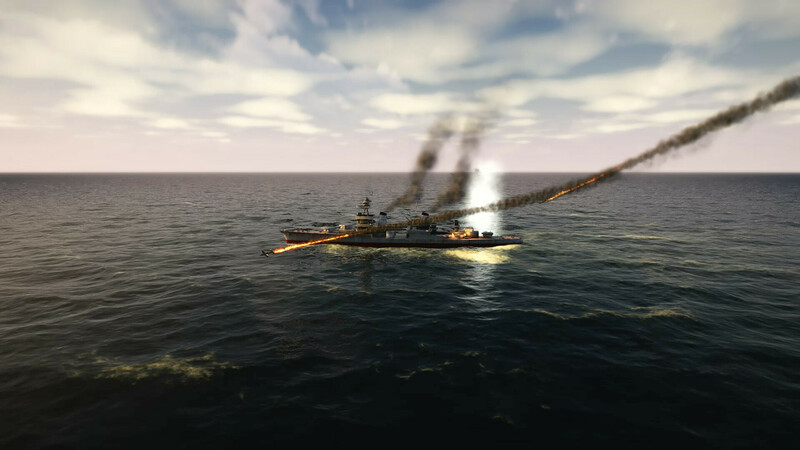 Players can no longer order a flight armed with torpedoes or depth charges to attack a port. Fixed a bug where a move order could end up targeting the wrong position. Ensured the American campaign always starts at war, and the war state is correct when loading older saves. Ensured that landed aircraft load from saves on their home carrier or airfield. Ports do not send aircraft against deep-diving submersible fleets on the bridge. Updated the intercept order icon on the squadron list. Depleted bomb or ammunition icons are now red. Here’s the latest patch based on community feedback. 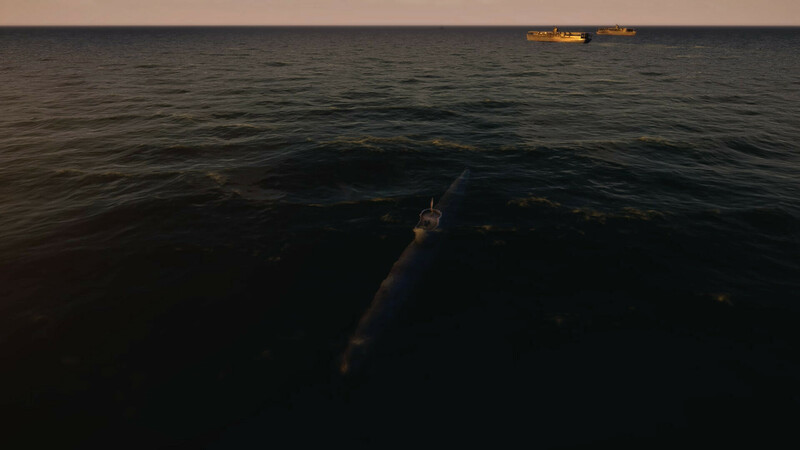 Main features include selecting a single torpedo for your subs! Please keep sending us your feedback as we will be tweaking and fixing beyond the bugs. Please we try to monitor all your conversations and suggestions so if something has not appeared that you have suggested does not mean it isn't coming. • Submarine torpedoes can be manually fired individually, by lowering the spread below the minimum. • AI carrier fleets will retreat if all their bomber flights have been lost. • Large aircraft drop their payloads (except torpedoes or nuclear bombs) as multiple bombs. • Added a button to select all kamikaze aircraft on a ship. • Added buttons to select all bombers, torpedo bombers, kamikazes, and fighters, and to recall all aircraft, to airfields. • Aircraft repair at the same rate regardless of their toughness. • Fleets should not be repositioned in a port attack if they are raiding with aircraft outside gun range. • Fixed a bug that could cause ships to be partially disassociated from their fleet in patch 1.1.3. • Fixed a bug that could cause the tutorial to become stuck. • Aircraft selection buttons immediately refresh upon swapping out aircraft payloads. • Colour-coded the fleet morale icons. • Added an option to simplify flight UIs. • Added additional feedback when weapons are unable to fire. Вот есть 1 часть игры Victory at Sea 2014 года http://rustorka.com/forum/viewtopic.php?t=170283 но сырая версия 1.0 а уже есть версия 1.4 где игру пропатчили и довели до ума-совсем другая игра стала.Версию 1.4 добыл, но в виде архива 350Мб https://yadi.sk/d/7-d5SMHg3Rdq25 (инсталляторы делать не умею). Таблетка от CODEX из раздачи к нему так же подходит.Может, кто сделает и зальёт сюда-Будем очень Благодарны! Большое СПАСИБО! Всех Благ в Жизни и на Русторке ВАМ! Торрент файл перезалит. Игра обновлена до версии v1.0.3. Списка изменений нет. в место океана в игре синяя пропасть , ни кто не знает как решить проблему ? Спасибо за раздачу, что то на моей 730 даже на средних фпс проседал прилично. Там кстати 1.0.5 вышел, обнови пожалуйста. Джапов для игрока, пока еще просто не включили в гранд компанию ? Торрент файл перезалит. Игра обновлена до версии 1.0.5.
pasha74_74 я тут не причем, патчи же выпускает GOG, не я, сама игра и патч скачаны с другого ресурса, скачать от туда и залить сюда ничего сверхъестественного нету, это может сделать любой другой. ну это понятно, но всё равно за то, что выкладываетп и заливаете на этот Трекер-Большое СПАСИБО!